It was so nice to come home and read this. 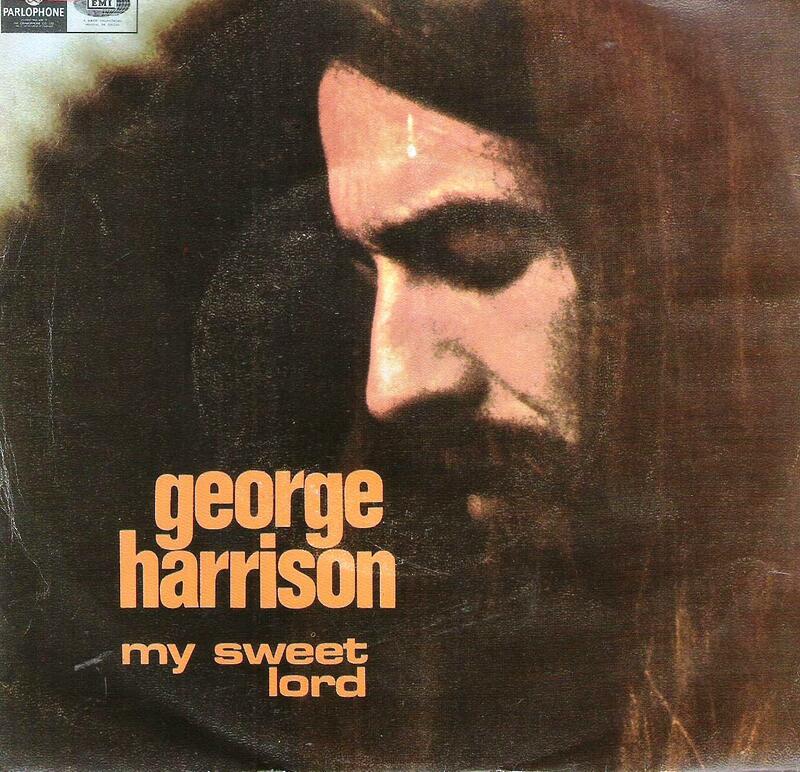 I just heard “My Sweet Lord” on my iPod – the version by Girlyman, which I find very beautiful. Funny- I find “Imagine” to be a profoundly spiritual song, seeking to find that place beyond specific religions and all that divides us – ultimately not that far from the metaphysical sensibility embraced by George. Thanks for reading. Yeah, it was really weird–I have no idea what made me come home and write about this song. I hadn’t heard it in years (and I have two other posts percolating in my brain). I guess it’s not that “Imagine” isn’t a spiritual song, I guess I just know too much about John Lennon. Once I got a little older and did a little reading I’ve struggled to still like a lot of Lennon’s music. To say that he was “complicated” would be an understatement. Anyway, the song itself is more about a utopia/”brotherhood of man” whereas “My Sweet Lord” is more personal, about one man who loves God. I’m able to relate more easily with “Imagine” because like I said in the post, I’m an apathetic agnostic. “My Sweet Lord” is a non-creepy devotional. Have you heard the Billy Preston version? Apparently George let Preston record it before he (Harrison) put it out himself. From what I’ve read it’s quite gospel-like. I need to track it down. One of the weird things about that lawsuit is that a lot of it turned on whether or not George had “access” to “He’s so Fine.” They don’t have to prove intentional copying — all they have to show is that George reasonably could have heard the first song before, and that the two songs were substantially similar. The songs ARE pretty similar, at least in the judge’s opinion. It’s hard to apply objective legal principles to abstract musical expression. Kinda stupid, but there you go. Ha! I knew that you would know about that lawsuit so I put it in there. What about the other famous (infamous) Beatles lawsuit where John Lennon “ripped off” Chuck Berry in “Come Together” off ABBEY ROAD? Eventually John lost and some kind of weird agreement was made wherein John had to record a bunch of old rock songs that this label owned (he put it out I believe in 1972-1973 it’s called ROCK N ROLL) so that they could benefit from having him record their songs (royalty payments). That is a bizarre chapter in rock history my friend. I’m actually not too familiar with that one. That’s a really strange agreement to come to, but that kind of thing happens when you settle out of court. A quick wikipedia search shows that some guy named Morris Levy owned the rights, and was the instigator of the suit. He got Lennon to record three other songs owned by him, but Lennon only ever released two of the three (the third track was released posthumously). Because of that, Levy sued AGAIN and got about $6 grand (AKA peanuts). Levy then released some Lennon recordings in his possession without Lennon’s permission; Lennon sued HIM and won $84,000. He who laughs last laughs best! Wow, I didn’t know that’s how “Rock ‘n’ Roll” came about. Stranger than fiction! Makes sense now that you think about it? That album, while enjoyable, always seemed a bit off to me. I’m probably going to touch on this record when I get around to writing about John’s “Lost Weekend” years.